At a Caribbean resort built atop a former slave plantation, Myrna works as a maid by day; by night she trespasses on the resort's overgrown inland property, secretly excavating the plantation ruins the locals refuse to acknowledge. Myrna's mother has stopped speaking and her friends are focused on surviving the present, but Myrna is drawn to Cruffey Island's violent past. With the arrival of Mrs. Manion, a wealthy African-American, also comes new information about the history of the slave-owner's estate and tensions finally erupt between the resort and the local island community. 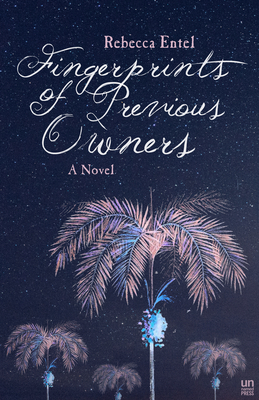 Suffused with the sun-drenched beauty of the Caribbean, Fingerprints of Previous Owners is a powerful novel of hope and recovery in the wake of devastating trauma. In her soulful and timely debut, Entel explores what it means to colonize and be colonized, to trespass and be trespassed upon, to be wounded and to heal. Rebecca Entel began this novel while teaching on San Salvador Island in the Bahamas. She is Associate Professor of English and Creative Writing at Cornell College, where she teaches African-American and Caribbean literature and directs the Center for the Literary Arts. She holds a B.A. from the University of Pennsylvania and a Ph.D. from the University of Wisconsin. Her short stories have been published in Guernica, Joyland Magazine, The Madison Review, and elsewhere, and several have been shortlisted for awards from Glimmer Train, Southwest Review, and the Manchester Fiction Prize. Fingerprints of Previous Owners is her first novel.